The Kingsman‘s highly anticipated third instalment is set to hit our theatre screens on November 8, 2019. Matthew Vaughn is once again writing and directing the movie telling the story of the UK’s elite team of secret agents. Thought by some to be the final instalment of the spy comedy series, the undoubtedly action-packed plot is yet to be revealed. However, a tantalizing light was recently shed on the sequel. Taron Egerton and Colin Firth will be reprising their respective roles as Gary ‘Eggsy’ Unwin and Harry Hart/Galahad. Channing Tatum’s character, Tequila, will also make a return, rumoured to have a bigger role this time around. Joining the established cast will be two new lead characters, who’ll prove integral to the ongoing world-building within the expanding franchise. These characters will play an important part in Kingsman: The Great Game, but will be initially introduced to audiences in Kingsman 3. According to That Hashtag Show, one of the new characters will be a ‘young, cocky and charming teenager’ by the name of Conrad. The child of a British Duke, Conrad will reportedly be very enthusiastic about serving king and country. Although we don’t yet know who’ll be playing the teen, this will undoubtedly be an excellent role for a young and upcoming actor looking to cut his teeth as an action star. The other new character will be an ‘older male lead’. Details have yet to be given about his personality, however it’s thought this character could well be played by screen legend, Ralph Fiennes. Weirdly while we were writing Kingsman 2, we were thinking of Kingsman 3 as well, which is odd. We’ve got a big idea for that. This is sort of the bridge and if we can pull this off, we’ll make another one. Vaughn has previously hinted the third Kingsman movie will tie up the relationship between well-liked duo, Harry Hart and Eggsy. However, this may well only be the beginning of the high-octane world of Kingsman, which began life in 2012 as Mark Millar and Dave Gibbons’ comic The Secret Service. As well as an eight-hour TV series, Vaughn is also reportedly planning an early 20th century prequel called Kingsman: The Great Game. This period prequel will offer an insight into the early days of the top secret organisation, centred around the time of World War I. 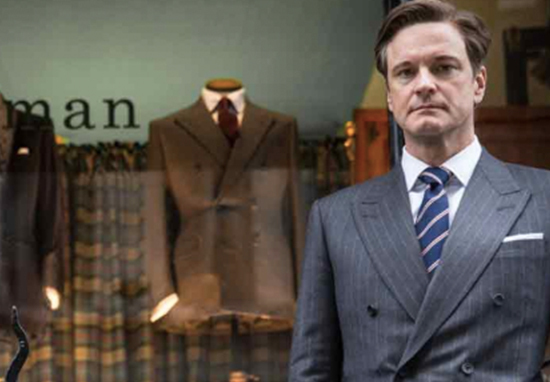 According to Screenrant, there are also plans in motion for a spin-off movie about Kingsman’s American counterpart, Statesman. Fans are understandably very excited, anticipating what the upcoming sequel could hold, with plenty of speculation over potential Conrad casting choices. Filming is said to begin in January 2019, which means it’s a pretty tight production schedule for a November release. It’s looking to be well worth the wait.